My first stark image of the day would have to be the nuthatch I spotted whilst cycling to work, after having dropped off my boy at school. In what way is a nuthatch symbolic? Well, we have to go way back, back around 32 years in fact to Mark as a mere ten year old, fascinated by animals and, with his grandmother’s guidance, learning about the animal world through books and forays into the local area. The guidance was not so much hands-on as spiritual, based on the fact that my grandmother was bed-ridden at this time, a result of being diagnosed with TB when she was just three years old. At that time, the solution was that the patient should get as much bed rest as possible, a total contradicton to today’s advice. My grandmother was ill her entire life, using a walking stick in my early years, a wheelchair from my being about five or six and becoming confined to bed, with frequent stays in the hospital, as I turned ten, finally dying at 49, when I was only twelve years old. However, she remains a massive influence in my life, governing certain decisions I make today and responsible for many of my life values (for good or ill). On a grey day in Burnley, at ten years old, I asked my mother if I could buy a print, which depicted a nuthatch on a tree. It cost £5.00 and my mother thought I could spend my money on something more reasonable for a boy my age, like Lego, for example. But I was determined and not suprisingly when I returned home with my prize (bought with my own spending money, I might add), my grandmother naturally loved it. It went up on my wall the same day and remained with me for many years before going the same way as much of my stuff when I was foolish enough to store several boxes in our damp, dark cellar, whilst I travelled around the world. 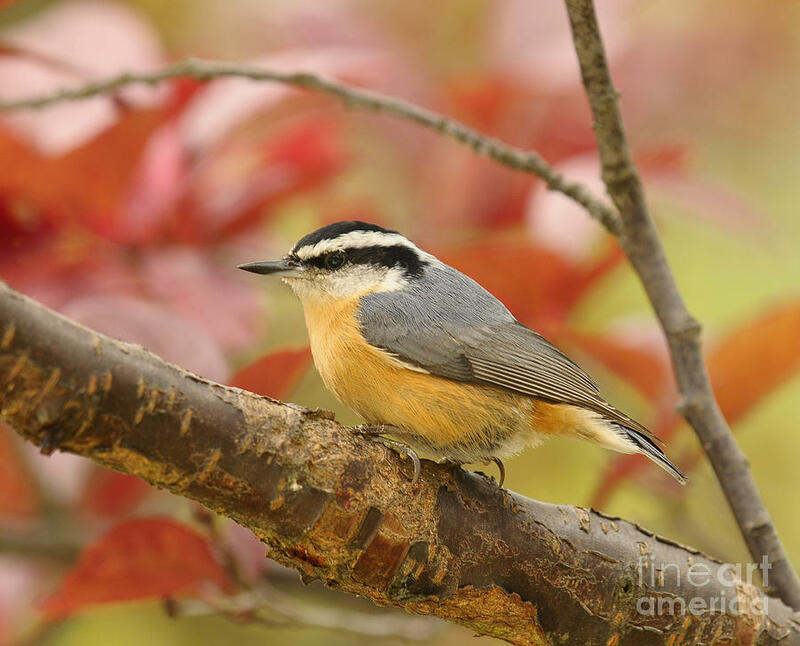 So the nuthatch was a symbol on this day, my meaning of life day, when it reminded me of my grandmother and all that she gave me, still gives me and how I can never truly thank her for it all.